Moments after Neo eats the red pill in The Matrix, he touches a liquefied mirror that takes over his skin, penetrating the innards of his body with computer code. When I first learned about the controversial new digital drug Abilify MyCite, I thought of this famous scene and wondered what kinds of people were being remade through this new biotechnology. Otsuka Pharmaceuticals and Proteus Digital Health won Food and Drug Administration approval to sell Abilify MyCite in late 2017. This drug contains a digital sensor embedded within the powerful antipsychotic drug Abilify, the brand name for aripiprazole, which is used to treat schizophrenia, bipolar disorder and major depressive disorder. The goal of the digital sensor is for doctors to monitor their patients' intake of Abilify MyCite remotely and ensure that the patient is adhering to the correct drug dose and timing. Pills with embedded sensors mark a new era in digital health and, I believe, herald the arrival of a new kind of digital cyborg identity, which sociologist Deborah Lupton defines as "the body that is enhanced, augmented or in other ways configured by its use of digital media technologies." Drugs are cybernetic technologies in that we absorb pharmaceuticals through metabolic processes that biochemically recode our brains and bodies. 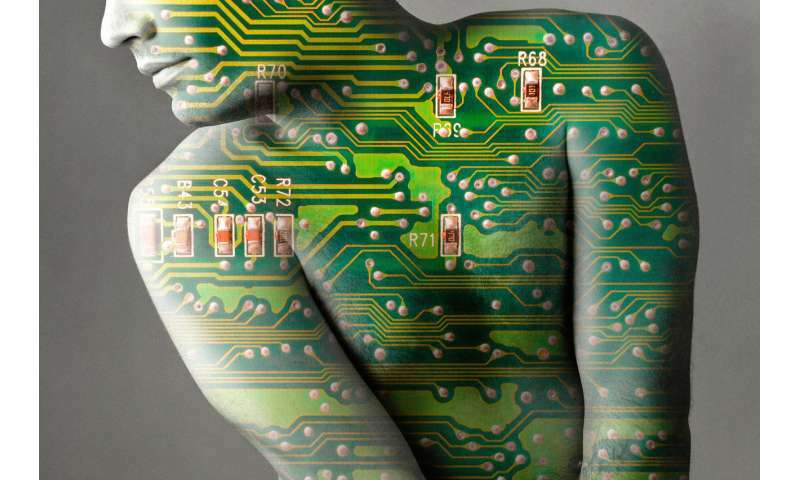 The figure of the cyborg helps us recognize the potential of digital health technologies for enhancing human health, while at the same time critique how the practices of digital health can work to coerce, marginalize or transform individual people and entire social groups. In my view, having pills that connect us to our doctor and pharmaceutical companies via an app is dehumanizing and reduces patients' psychic lives to a digital readout. As a sociologist, I am concerned about the formation of new pharmaceutical persons who are digitally enhanced to be compliant with the profit motives of corporations and the directives of health providers and drug companies. While all sorts of technologies monitor patients' bodies, this is the first pharmaceutical to do so. The fact that the drug is Abilify, which is prescribed to people who experience serious mental distress, should raise many ethical red flags. These concerns are especially relevant because the patent for the original Abilify drug expired in 2016, and this new drug technology represents a potentially lucrative new product in the global pharmaceutical armory. Based on my research on the corporate development of new drug combinations for metabolic syndrome – a constellation of major risk factors for heart disease, stroke and diabetes – I think that the new digital version of Abilify represents what I call a "killer application" for mental illness. Killer apps are essentially about profiting from the hottest new technology; their effectiveness for health is determined not in the clinic but in the marketplace. My concern is that as a popular killer app, the company will be motivated to profit from the technology as much as possible, regardless of whether the drug actually improves health. As a society, we should be moving away from a technologically centered framework for treating mental health and toward one in which patients' interests and agency are positioned at the center of care. This requires a more critical analysis of how the global pharmaceutical industry has taken over mental health care and what kinds of cyborg-like people they are trying to make through their products.